Want to read the honest review of Autel MaxiDiag MD805? Then you’ve landed on the right page. The EPB and Oil reset features are the two latest additions to Autel MaxiDiag MD805 scanner. The additions make this Autel scanner a powerful and effective full system scanner under $200. Let’s check out the detailed review of Autel MD805 NOW! 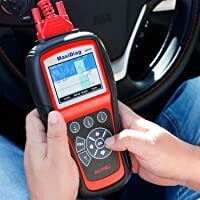 If you are a DIYer who wants to perform advanced diagnosis on your car then Autel MD805 is for you. Autel MD805 can access O.E.M advanced codes that can’t be retrieved by basic code readers. It can retrieve Diagnostic Trouble Codes (DTCs) and clears them quickly. 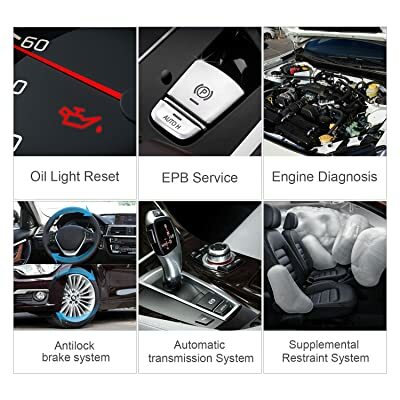 When you need to diagnose modules such as power window controller or even your car digital radio, Autel MaxiDiag MD805 will accurately retrieve these DTCs. This is because Autel MaxiDiag MD805 scanner supports more than 50 modules. 3 Who Should Buy Autel MD805? 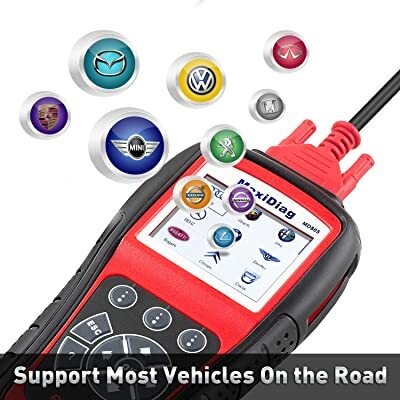 Autel MaxiDiag MD805 supports a wide range of vehicles. Transmission problems can significantly lower the performance of your car. It can cause your vehicle to pause when shifting gears or when you want to reverse from parking. 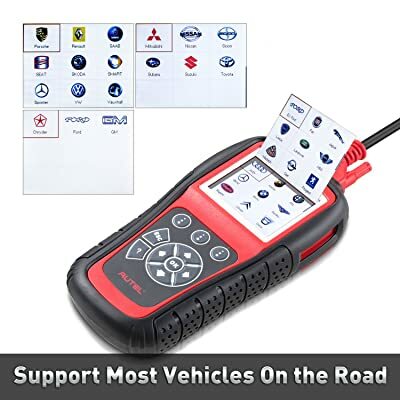 If you’ve tried diagnosing transmission problem with basic code readers then you must have realized that they can’t retrieve transmission codes. But with Autel MaxiDiag MD805 you will be able to diagnose transmission with a single push of a button. Capable of diagnosing problems such as a shaking car driven at various speeds, the source of the burnt smell, and leaking fluids. Although it claims to be a full system scanner, Autel MaxiDiag MD805 does not perform Airbag functions in most vehicles. When you turn the ignition off, it is expected that the EPB should remain active. However, if there is a fault within the brake system, EPB can fail to function when the ignition is turned off. MD805 performs Oil Light Reset, EPB Service, Engine Diagnosis, etc. This is where Autel MaxiDiag MD805 comes in handy. You will be able to diagnose EPB and retrieve codes using this autel scanner. Another latest addition to the scanner is the Oil reset function, which can accurately identify any problem that may exist in a vehicle’s lubrication system. Note: This scanner lacks full bi-directionality and cannot perform relearn in most vehicles. 10 Test modes are performed well by MD805. 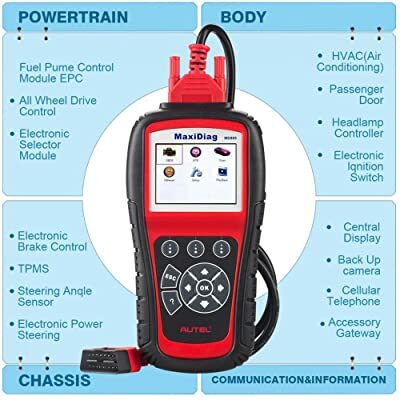 Autel MaxiDiag MD805 can perform all the 10 test modes accurately and incredibly fast. Capable of retrieve and read codes, obtain live data, I/M readiness status, Freeze frame, and O2 test, and onboard Monitor test. You can also perform component tests and access your car VIN. The best aspect about Autel MaxiDiag MD805 is the speed at which it retrieves data when scanning your car. Note: You are forced to turn off the ignition for at least 10 seconds when the operation error appears. Retrieve EPB trouble codes when brakes fail to engage. Has an auto-scan button for performing all the basic tests. Diagnose transmission problems such as a pause when changing gears. This scanner supports the 10 test modes and five protocols. Lacks full bi-directionality and cannot perform relearn. Does not support airbag functions. 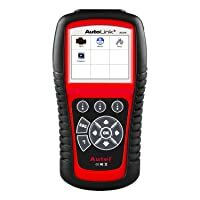 Autel MD805 scanner has a wide coverage as you will be able to diagnose U.S domestic vehicles, European, and Asian models. This includes vehicles classified under MD704, MD703, MD702, MD701 vehicles. Besides, MD805 Autel supports only English language. Who Should Buy Autel MD805? Autel MD805 is the DIYer version of Autel MaxiDiag MD805 Elite professional version. It is also an affordable full system scanner that can perform many functions. If you are a DIYer who wants to perform advanced diagnosis on your car then this scan tool is appropriate for you. It can also be used by mechanics and professional tech with auto shops. Autel MaxiDiag MD805 is an affordable scanner that can support full system diagnosis. If you update to the latest software, you will realize that Autel MaxiDiag MD805 can now perform EPB and oil reset features. 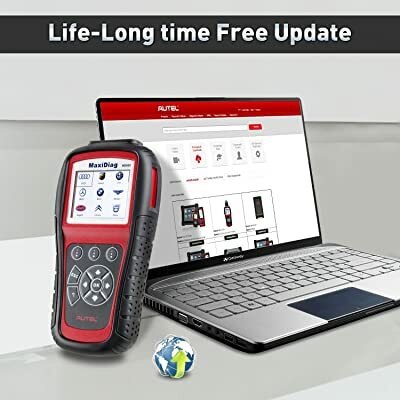 Autel MaxiDiag MD805 scanner can be used comfortably by DIYers, mechanic, and professional techs. A video about Autel MD805.